Who doesn’t love a surprise pet? 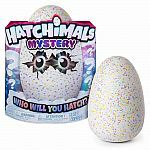 Hatchimals need kids’ help to emerge from their eggs, but these mystery critters are anxious to meet their new friends! 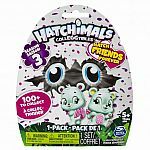 Classic Pengualas and Draggles are adorable interactive pets: kids can teach them to walk, talk and play. Teeny Colleggtibles come in many varieties: perfect for trading with friends!